Right now I'm at Anjas place and we are... Dying out hair! 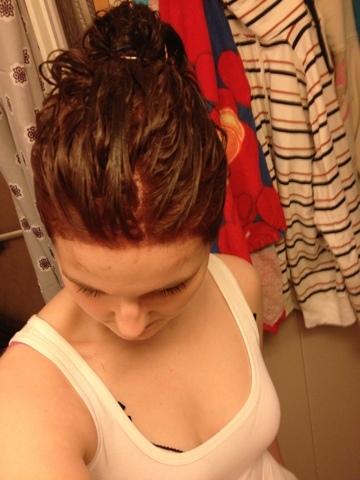 o0 I have failed on homedying before, but that was bleaching and henna color... Not a good idea to do in the same year. I first dyed my hear with henna, and then waited many months before coloring again, but when it had gone about 4 months I bleached my hair and it kiiinda turned blue and green-ish... -.- not the whole hair, but spots.. But now I'm dying close to my own color so it can't get any worse than it was. The color is warm Mahogany and I think it's gonna be good. ^.^ Will show you when we finish.